At SwellColors, we try to offer as many different glass art classes as we can. A big favorite for the more advanced learners is the Stained Glass Light Catchers. In the class, you make a couple of hearts, or stars, or a combination of the two. Check out the process while we make a big batch to prepare for summer! Call 609-494-7600 or email mary@swellcolors.com to schedule a class today! 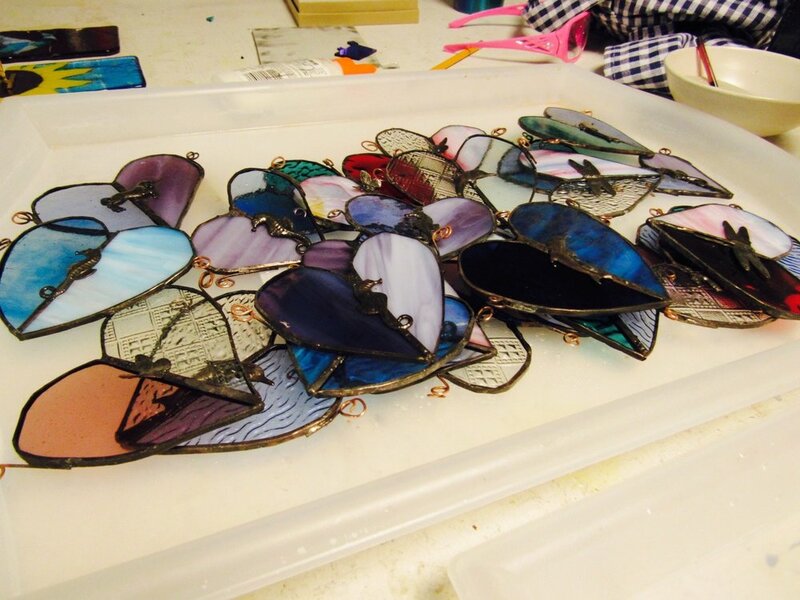 A batch of hearts ready to be soldered. 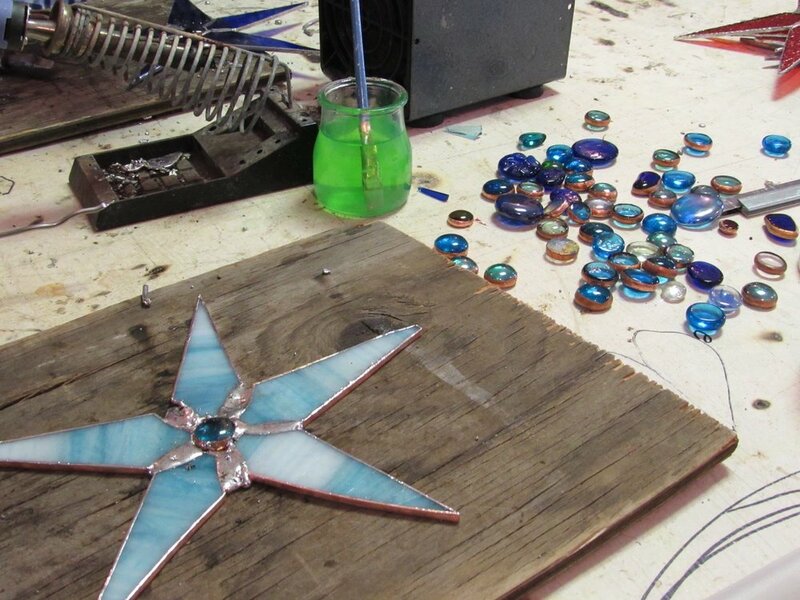 A batch of stars ready to be soldered. Before soldering, all the copper foil gets coated in flux. 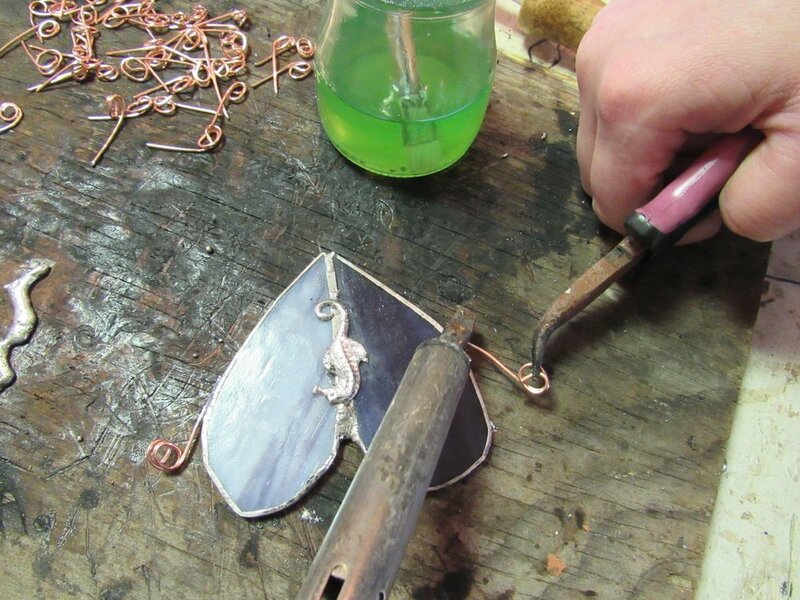 Each ornament much get soldered on both sides and all outside edges. We've got quite an operation going! Hearts are faster to solder than stars generally, but harder to cut out of glass. We love fun color combos, and try to make each ornament unique. Once connected, details are added- like hooks. To decorate the hearts, we coat brass pieces in solder, and attach to the center. We use scraps of copper to make our hooks. Hearts need to hooks, so sometimes this is a two person job. Hearts ready to be cleaned! 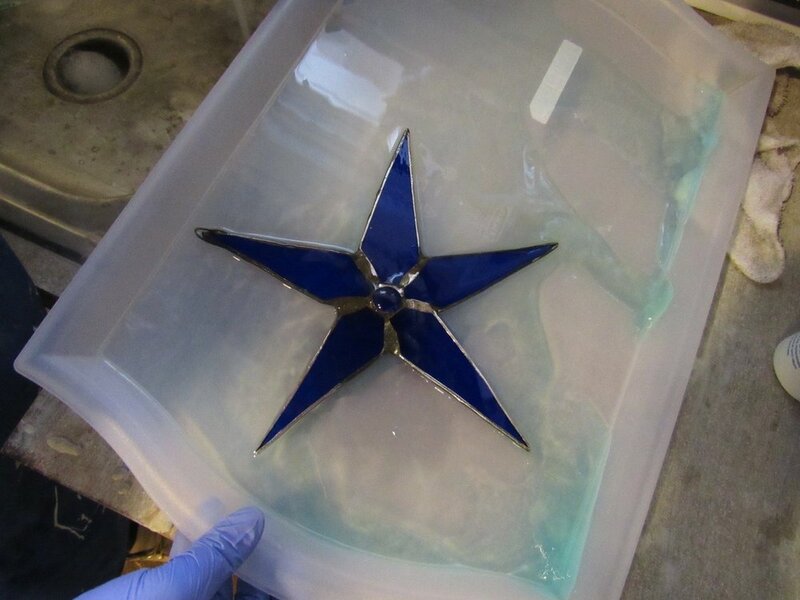 Stars ready to be cleaned! Each light catcher has to get scrubbed free of flux. Gently we add patina to turn the metal black. Stained Glass of the Day! January 30th: "Jasmine Mind"
Stained Glass of the Day! January 28th: "Crystalline"